The 2002 film adaptation of About A Boy has been one of my favourites since I went to see it at the cinema when I was thirteen and in the same way that most people worry that a film or television adaptation will ruin their favourite book I worried it would make me see the film differently. So, despite watching the film countless times over the last ten years I’ve only just gotten around to reading the book and since I’m used to writing about films rather than books it seemed like an appropriate choice to ease me into my first review here at Blogger’s Bookshelf! 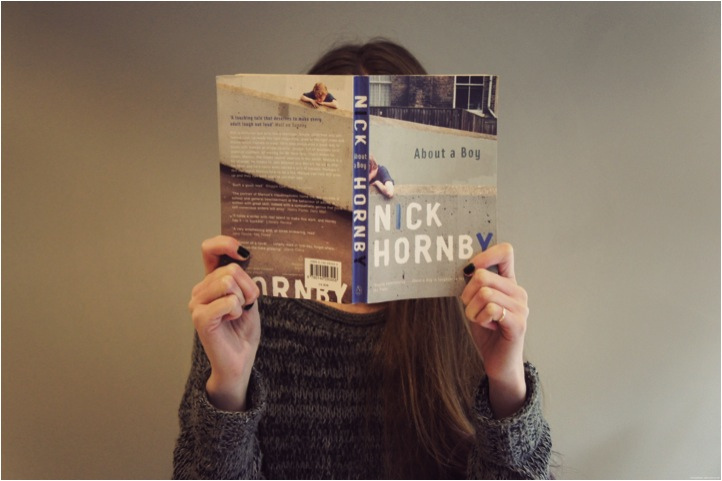 This is the first of Nick Hornby’s books that I have read (although I did also recently pick up Slam for 10p!) and I found his writing style surprisingly casual and very easy to follow. Since I read this book alongside A Game Of Thrones, which is famous for its' intricate web of storylines and wide range of characters, I found About A Boy a nice break from that more complicated world. One of my favourite aspects of the layout was the fact that the chapters alternate between Will and Marcus’ stories which at first seem very separate but soon become intertwined as their lives cross paths. Since at this point I practically know the film off by heart it would be difficult not to make comparisons and as I read I became particularly interested in how the screenplay I know and love was adapted from those original words. Of course, knowing the film so well did also mean that I pictured the characters with the familiar famous faces I’m used to seeing play them, however after reading the descriptions I do think the film was cast very well. Although the book deals with some difficult topics including depression and bullying, Nick Hornby manages to do so with a unique sarcastic humour which again, fortunately was well reflected in the film adaptation. Early on in the book there are a lot of similarities to the film and even an abundance of quotes I recognised which had been lifted directly from the text, however this is not the case later on as the ending of the story differs completely from its cinematic companion. The film’s ending is somewhat your typical Hollywood feel-good conclusion where as author Nick Hornby created a much more satisfying version of events. Nirvana play a critical part throughout the book but become particularly important within the last few chapters which take place at the time of Kurt Cobain’s death, something which was not touched upon in the film. However the exclusion of this element doesn’t hurt the film in any way but rather allows it to come to the same conclusion via a different route as in both formats we get to see the development of Will and Marcus’ characters which is the real purpose of this story. At only 278 pages its definitely a quick read and due to the short length of the chapters and concise writing style its also very easy to pick up and put down if you don’t have a lot of time. 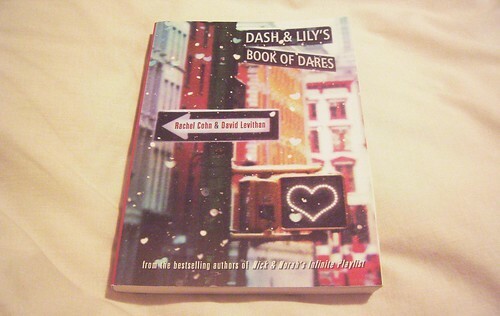 Dash & Lily’s Book of Dares is co-penned by David Levithan and Rachel Cohn, with David obviously writing for Dash’s side of the story and Rachel for Lily’s,. Co-penning a book like this means two sides of the story is presented…with each side presented in alternating chapters. The premise is simple. Dash, a ‘snarly toothed’ 16 year old hipster, who’s a bit of a loner and has a hatred for the festive Christmas season finds a red notebook in an old bookstore tucked into a corner of New York City. The notebook, - spoiler alert! - , challenges whoever reads it (or dares them) to follow the instructions. The victorious reader will then be considered to be potential boyfriend material by for the author. Said author is Lily, a quirky, awkward and equally hipster-ish girl – though by the end of the book Dash definitely wins in the hipster stakes - with a charming love of everything Christmas-y and the holidays that come with it. Personal highlights were the dares themselves, which were both achingly adorable and ‘face hiding in a pillow’ cringe-worthy (mostly for Dash). The setting of the story, New York City during the cold festive season, definitely acts as an aid to push the story along and proves a charming backdrop to what is essentially a teen love story. Plus, the secondary characters, Lily’s pretty awesome Aunt, Dash’s friends (both the douche-y and downright adorable) and ex-girlfriend all add colour and random madness at times. 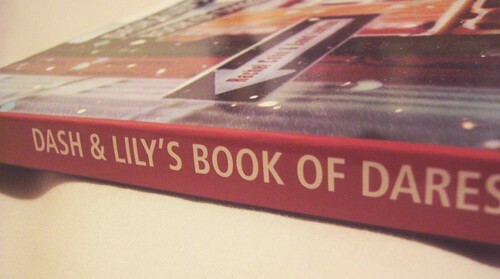 Dash & Lily is definitely a quick teen-ish read that does leave you with a warm fuzzy feeling inside by the end of the book. Be prepared for a little second hand embarrassment as well as frustration when things go wrong. For those not used to this genre, Dash in particular can seem pretentious as a character at times and I’m sometimes left thinking Lily may be a little delicate for him – she proves me very wrong.. Overall it was enjoyable and the switch between each author, filling in the blanks of the other’s story, was refreshing to read. For lovers of…You’ve Got Mail, John Green’s books – Will Grayson/Will Grayson in particular, ‘coming of age’ indie films, and Gleek fans of the fanfic ‘Little Numbers’ – which was partly inspired by this book! We are a new collaborative book blog where you will find reviews on a wide variety of titles written by a small group of lifestyle, fashion and beauty bloggers. For the last couple of months creators Erin & Ria have been working hard to make sure we bring you regular, interesting and varied content so we really hope you are going to enjoy our new project! So what can you expect from us here at Blogger’s Bookshelf? On Mondays, Wednesdays, Fridays and Sundays you will find review posts from our eight regular contributors. We are mainly based in the UK but are lucky enough to also have a couple of international bloggers on board. Click here to find out more about the team! Saturdays are our collaborative day where you will find lots of opinionated non-review (but still book related!) posts where we will invite you to get involved in the discussions and become a part of our little reading community too. We’re really excited about getting to know more about our readers and hearing your thoughts on all things books and reading! On Tuesdays and Thursdays we will be taking guest post submissions from anyone who wants to get involved so if you would like to write a guest review for us then please get in touch via email – bloggersbookshelf@gmail.com - we would love to hear from you! Our first review post will go live on Monday 29th October and we really hope to see you again soon!